This receiver extension builder kit is just that, pick your own parts and build the kit you want. The base kit starts off with a 7075-T6 extension tube. 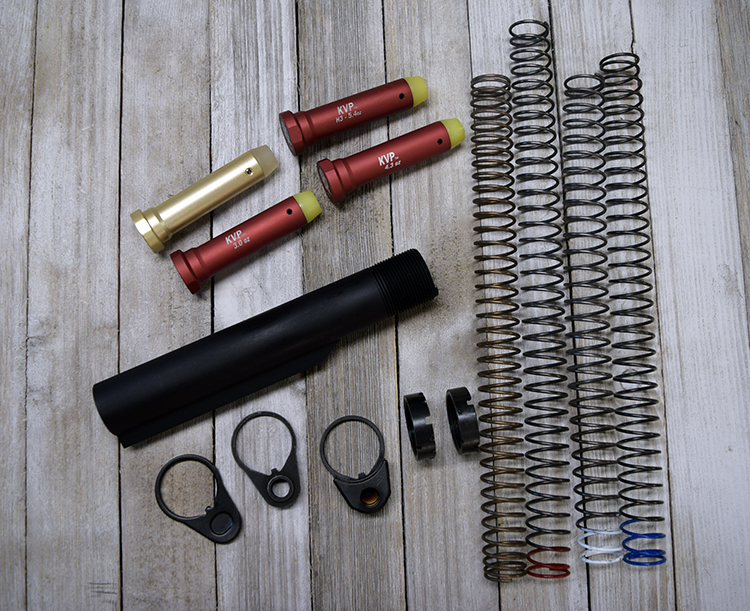 Stainless Steel Carbine Buffer Spring or one of the Sprinco choices. Castle Nut of your choice. All components 100% Made in the USA from domestically-sourced metals by hard working American men and women. I love the fact that I was able to customize the stock kit to my liking. Awesome CS and I will buy again.